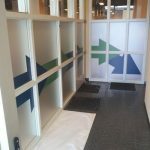 Build excitement and interest around your unique products and solutions with decorative custom made window graphics! When you are marketing season-specific items, you want to deliver privacy to your guests within your facilities, or merely wish to show your prospective buyers about your business and brand, engaging window signs and vinyl graphics get your brand noticed and considered. 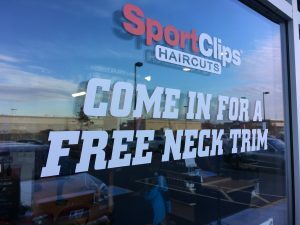 Creative Edge Signs and Graphics is your trusted area window signs and graphics company, generating persuasive window graphics, signs, decals, and displays that consistently improves your brand visibility. Call Creative Edge Signs and Graphics today at (202) 793-8277 for your Free Consultation! Creative Edge Signs and Graphics manufactures promotional window signs, displays, and graphics for increasing your brand visibility. 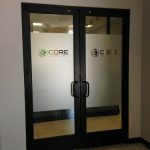 Our accomplished vinyl window sign designers provide custom window graphics that are complementary to your existing marketing elements, support your business goals, and provide the information buyers need to choose you. Our window sign experts will deliver the most appropriate signs and graphics your business demands. We learn about your company and brand to make logical suggestions for products that you are proud to display. Our experienced staff is ready and waiting to reinforce your business and marketing goals with engaging and attractive window graphics, lettering, signs, wraps, banners, and more. It’s clear to see that retailers expend a lot of effort and time on producing their seasonal window displays. An original window display is crafted to attract engaged new customers into your shop. If you are promoting a special sale, event, or promotion, or aim to enhance sales related to a high-demand, seasonal item, branded window displays are a fantastic way to accomplish this. Typically, window displays are modified seasonally to exhibit the newest, hottest merchandise your store has. 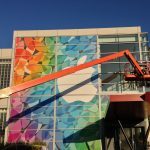 Creative Edge Signs and Graphics designs, manufactures, and installs intriguing window graphics, signs, and displays to advertise your special events and useful merchandise in an engaging way that will generate more shoppers. 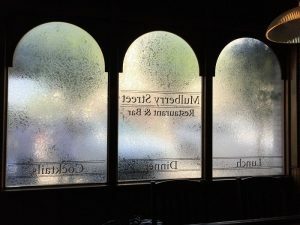 Office facilities, for instance, insurance brokers, real estate agents, service professionals, counselors, law firms, and many other company types, implement custom vinyl window film on their outdoor windows for privacy, branding, or promotional applications. Our professionals manufacture privacy film that gives the same appearance as a custom etched/frosted glass windowpane, without requiring the expense and hassle of entire glass panes. A number of professionals decide to include their company name, logo and branding elements, or other specific business information added as part of their etched privacy film for business promotion and brand identification. 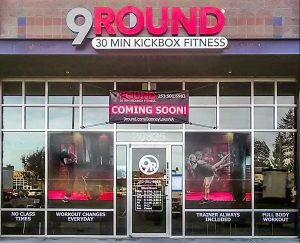 Our team of signage professionals build customized privacy film custom-crafted specifically to your business and clients, or furnish good examples of commonly selected vinyl film possibilities that will support your goals. Even service providers can improve their brand visibility with a traffic-stopping, branded window display! 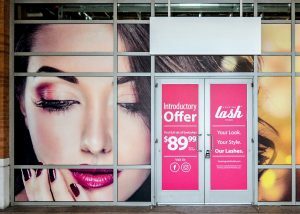 Promote your brand and business with custom graphics, murals, posters, banners, or lettering showcasing your most beneficial solutions, seasonal offers, or even integrate a show-stopping display that showcases what your business has to offer. Our professional signs and graphics consultants work with you to produce the ideal branded display that your business expects. We handle fabrication of all custom display elements and your branded graphics. Your local professional graphics, signs, and full displays supplier, we produce the window displays, signs, posters, lettering, graphics, or banners you need to build your company and brand awareness and increase client interest. 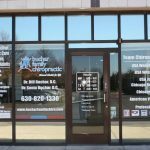 Call Creative Edge Signs and Graphics today at (202) 793-8277 for your Free Consultation with a Window Graphics Specialist!